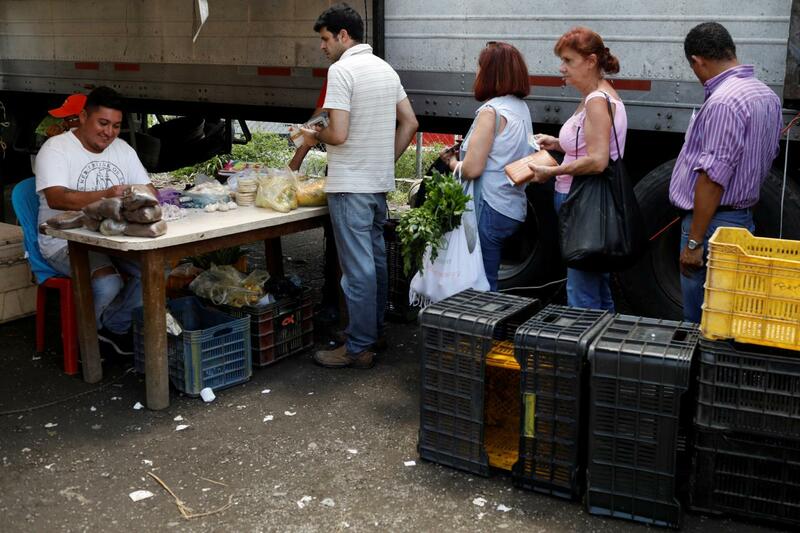 MOSCOW, (Reuters) – Russia has sent a high-level official delegation to Venezuela, including a deputy finance minister, to help advise the cash-strapped country on economic reform at a time of crisis, a spokesman for the Russian Ministry of Finance said on Monday. Almost 2 million Venezuelans have fled the country since 2015, driven out by food and medicine shortages and violent crime with inflation running at 200,000 percent and the OPEC nation’s oil production hitting a 28-year low in 2017. .
Russian oil major Rosneft said in August Venezuela owed it $3.6 billion, while Moscow and Caracas last year signed a debt restructuring deal that allowed Venezuela to pay Russia back a total of $3.15 billion over a decade. Andrei Lavrov, a spokesman for the Ministry of Finance, said on Monday that Deputy Finance Minister Sergei Storchak was due to take part in a meeting with Venezuelan government officials in Caracas on Tuesday. Russian officials from the central bank and the Ministry of Economy would also attend, he said, saying Venezuela had invited the Russian experts to take part in a meeting tasked with drafting economic reform measures at a time of crisis. “Venezuela’s government asked (Russia) to send relevant employees from Russian government ministries to share their experience of economic reform,” said Lavrov.